We are passionate about skin! Recognised among Melbourne’s leading skin rejuvenation clinics, at Skinologie we are dedicated to optimising the appearance, condition, health and function of your skin. Led by Dr Ceylan Yilmaz, Skinologie’s team of qualified clinicians combine knowledge, skill, credibility and client-focused outcomes to Skinologie’s suite of world class, non-surgical skin treatments. Our commitment to scientifically-backed treatments means the Skinologie team operates at the cutting edge of contemporary, non-surgical skin rejuvenation and enhancement. Skinologie’s decication to exceptional results extends to our investment in the very latest medical lasers, medical grade treatments and skincare products. Equipped with technologies and products available only to qualified doctors, Skinologie offers clients evidence-based treatments that deliver the best aesthetic and skin health outcomes available today. Uniquely, every Skinologie client is comprehensively assessed prior to the recommendation of any treatment. Driven by integrity and a holistic approach to skin health, Dr Yilmaz and the Skinologie team are ideally placed to accurately assess and treat a wide range of skin problems, from the aesthetic to the clinical. Our client-focused approach underpins our delivery of exceptional outcomes – skin that is rejuvenated, strengthened, glowing and more youthful. We look forward to welcoming you to Skinologie! Dr Ceylan Yilmaz brings a wealth of knowledge and passion to her role as Medical Director at Skinologie. From her beginnings in studying Medicinal Chemistry, through to her Medical degree and further studies in Aesthetic Medicine, Dr Yilmaz has an extensive educational background. Dr Yilmaz has trained, at length, with industry leaders in non-invasive cosmetic procedures such as anti-wrinkle injections, dermal fillers, chemical peels and laser therapy. Ceylan favours a natural look and is known for her subtle yet effective work. Her background in general and cosmetic medicine, along with medicinal chemistry, gives her an exceptional expertise and knowledge of the science of skin. She has developed a Skin Conditioning Program, drawing on the latest research and clinical trials. Unique to Skinologie, this program has changed the lives of many patients through optimising the health and function of their skin. She keenly reads new studies in skin care ingredients and treatments, and visits international seminars to keep abreast of global developments. Ceylan’s aim is not just to help skin look great but to perform biologically better. Before she became a doctor, Dr Yilmaz graduated from a Bachelor of Medical Chemistry at Monash University. Her insight into chemical formulations, coupled with her knowledge of the skin, has seen her create ‘Skinologie by Dr Yilmaz’. Compounded locally, this cosmeceutical range has clean, often-single ingredients that have been selected for their scientifically-proven efficacy. Dr Yilmaz also has an avid interest in both integrative and anti-ageing medicine. When consulting patients at the clinic, Ceylan likes to see a complete picture of a patient’s health. Whether dealing with rosacea, acne, hyper-pigmentation, premature ageing or any other concerns, she is able to offer advice that is beyond skin deep. Australasian Academy of Anti-Ageing Medicine, European Society for Lasers and Energy Based Devices and the Australian Society of Cosmetic Chemists. When she’s not at Skinologie helping patients achieve their individual skin goals, Dr Yilmaz works in general practice and enjoys staying fit, spending time with her husband, two young children and family and friends. Caring, mature and knowledgeable, Aimee came to Skinologie with a wealth of experience in the industry. After owning and running a successful salon in Toorak Village for many years, she took some time off to care for her two young children. 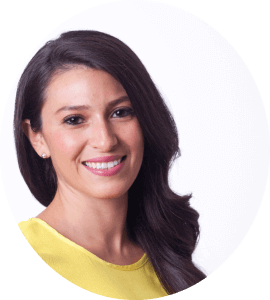 Her clients love both her warmth and professionalism: Aimee is known for bringing a gentle, relaxing element to even the most result-driven, specialised laser or needling treatment. Aimee is particularly adept at personalising treatment plans for her clients to suit their lifestyle, concerns and see real change in their skin. We’re lucky to have Aimee in clinic two days per week, but be warned: she books up fast! From graduating top of her Dermal Therapy class at Victoria University, to developing amazing new laser treatments for us at Skinologie, Emma is a true skin professional. Emma is an expert with laser and has devised some excellent treatments that simultaneously work on pigment, redness and signs of ageing. Emma has been instrumental in both creating revolutionary treatments at Skinologie and training all new staff across facials, dermal therapies and laser. Emma is also qualified in venepuncture and able to take blood for our PRP treatments. Teena loves results-driven skin treatments and home care and specialises in skin-needling, laser and peels. Teena has a detailed understanding of the science of the skin and is particularly interested in collagen remodelling and how to use the latest technology to effect real change in the skin. Enthusiastic and informed, Teena loves to help her clients achieve the very best results for their skin. She has a broad interest in the latest finding and studies in skin, and likes to pass on her specialist, up-to-date knowledge to her clients.